ROME – The red, white and green of the Italian tricolore was omnipresent in Rome on Tuesday as the nation celebrated Republic Day. 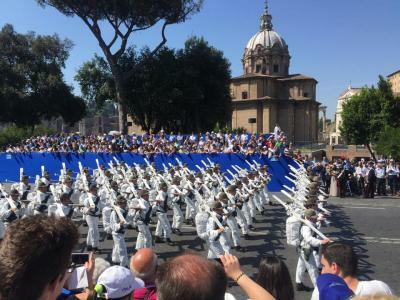 The might of the Italian military was displayed during the annual parade down the Via dei Fori Imperiali with President Sergio Mattarella describing the armed forces as key for a better world. 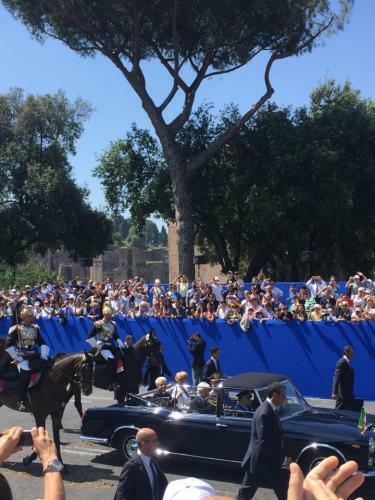 "Today, in countries torn by conflict and devastation, by bringing aid to suffering civilians the Italian Armed Forces can help us regain confidence in the future and hope for a better world,” said the President. Earlier in the day Prime Minister Matteo Renzi joined Mattarella at the capital’s Tomb of the Unknown Soldier, during a particularly poignant moment in what was a day of celebration. Italy's Republic Day honours the June 2, 1946; when Italians were called on to decide what form of government the country should take after the end of World War II. Italians voted in a referendum to become a republic, and the country’s monarchical structure came to an end.